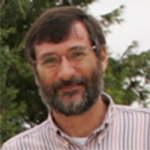 Ion Stamatelatos is a Research Director at NCSR “Demokritos” – Athens, Greece. His research interests include development and applications of nuclear analytical techniques, radiation protection and safety, in vivo body composition, interactions of radiation with matter, radiation detection and measurement. His current research work in the frame of the EUROfusion program aims on the validation of ITER nuclear design as well as on studies on the radiological properties and data evaluation of ITER materials by experiments and simulations performed at JET. The Joint European Torus (JET) is currently the largest operating fusion device serving as the main test-bed for fusion plant design and technology development. Within the framework of the EUROfusion programme, a series of experiments has been undertaken by JET aiming to address under realistic fusion conditions key aspects of ITER relevant physics and technology. Most particularly, the planned JET operation with Deuterium-Tritium (DT) plasma source provides a unique opportunity for experimental validation of the codes and data used in ITER neutronic design as well as to test materials behaviour under ITER-like neutron irradiation conditions. NCSR “Demokritos” Fusion Technology Group participates in the technological exploitation of the JET DT campaign by performing experiments for the validation of neutron streaming calculations along long ducts and labyrinths at the JET shielding configuration. Moreover, an experiment is under preparation aiming to investigate the neutron activation properties of ITER structural materials after long term irradiation at JET under conditions similar to those to be encountered in ITER. Pre-analysis of the experiments was performed in the JET campaigns with Deuterium-Deuterium (DD) plasma.In this work, an overview of the NCSR “Demokritos” contribution to the exploitation of JET DT campaign technology program is presented.